The River Oaks Condominium Association website is designed to give you news and information on all aspects of living in River Oaks. We update our site frequently, so we hope you will explore our pages and visit often! * NOTE: The Landings at River Oaks is a separate community within River Oaks and is managed by ProCom. The PCRC meetings, guest speakers and social event/fundraisers are now posted on the River Oaks calendar. The meetings and events are open to anyone and a good opportunity to develop a relationship with our local police officers and bring any concerns to their attention in both formal and informal, fun settings. River Oaks owner Scott Rayner provided details and photos showing his own roof replacement, an upgrade to seamless 6x6 gutter and 3x4 downspouts, vinyl clad trim capping around wood on bay window and upper bump out, hidden vent soffit and all fascia/rake capping. Rotten OSB plywood (same as under siding) was found in multiple sections under roof during the removal totaling roughly 350 square ft. and inspecting the attic did not show these areas. Check out the Photo Gallery for valuable information. 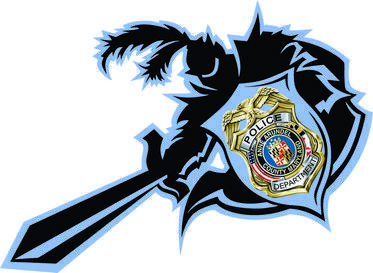 Guardian Shield -The Anne Arundel County Police Department Guardian Shield program endeavors to bring our private and public sectors together. Working as partners, we strengthen our community against terrorism and domestic threats, through effective communications and training. The Guardian Shield program is the cornerstone of our outreach efforts. We invite all to join us in our efforts. WORKING TOGETHER ... WE CAN MAKE A DIFFERENCE. This is a GREAT resource for comparing electric and gas supplier rates/plans. Also, on the home page are BG&E Customer Service and Outage Information links and even a link to log in to your BGE account. ChooseEnergy is an online marketplace that makes energy choices simpler and easier by enabling consumers to compare and find the best electricity and natural gas plans. 60 million households have the option to purchase electricity or national gas from retailers other than their utility, though less than a third of those households will exercise their right to do so. Energy marketplaces educate consumers on this option and provide platforms where energy companies can compete for their business. This document details BG&E legitimate practices and cautions about door-to-door solicitations for alternate energy suppliers and contains MD Attorney General's Office and MD Public Service website links to compare energy suppliers. There is also a link for the Office of People's Council for Utility Bill Assistance for Furloughed and Federal Employees. WATCH YOUR MATERIALS SHREDDED IN SECONDS! 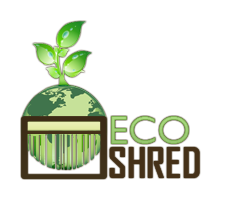 Free community shredding on the last Saturday of every month at the Eco-Shred recycling plant, 5600 Columbia Park Rd, Cheverly, MD 20785, from 9:00 AM-1:00 PM. They will shred your business documents as well as your personal papers that need to be disposed of all for free! Call 1-240-688-1171 if you have any questions about materials accepted. This event has been added to the River Oaks website calendar for your convenience. BEST FREE bulk photo resizer tool ever! Drag and drop to upload images online, choose reduction size and image quality, and in seconds you download resized images! I picked 25% and when some of the files were still larger than I wanted, I resized them again, 25% at a time. Imageresize.org is an online tool that allows you to perform many image manipulations for free. It is fast, easy to use, and will always be free. Best of all, you don’t have to install any software. To start editing your images, upload a single image to the upload box above. We currently support the following image editing functions: Image resize, crop, compress, convert and basic image editing. Do you have a favorite contractor, consultant or vendor who you would like to refer to the community? Many owners check our website FIRST for handymen, painters, landscapers, and much more! Click Vendors We Like to view our current listings. Submit an Ad/Vendor Form with as much information as you can gather, along with your testimonial about the service. Promote your home-based business on our website for free! Click Home-Based Businesses to view the listings. Submit an Ad/Vendor Form and email Bev Wright a business logo or representative photo (.jpg format) and you'll be featured on our Home Page and in an announcement to the website members! Please keep your lamp posts ON for safety and maintaining the visual appeal of the community. Although the rules do not require that the lamp posts be kept on at night, the Board and many in the community believe that, in the interest of safety and community pride, everyone’s lamp post should be on. When lamp posts are off, especially many in a row, the neighborhood looks dark, inconsistent, and inviting to mischief and crime. If you don't want to turn on your lamp post, please keep your house light on at night. 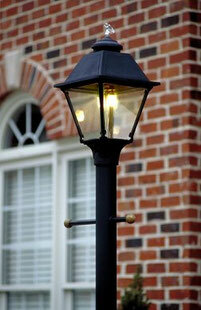 Click here for information on replacement fixtures and lamp post if yours are not working or in poor condition, or you just want to replace the brass lanterns with the black lamp fixtures. Thank you from the Board of Directors and your neighbors! If you have an interest in law enforcement, safety or crime issues, please volunteer to attend the monthly Anne Arundel County Police Community Relations Council meetings and report to the Board on any issues affecting River Oaks. More details are available on our Police Community Relations Council page.